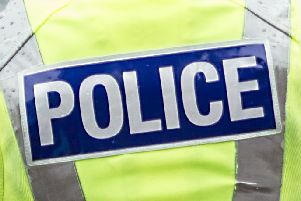 A 38 year-old man has died after being attacked in Craigneuk yesterday. Around 11.30pm police received a report that a man had been stabbed in Glencairn Avenue, he was taken to Wishaw General Hospital but died a short time later. A post mortem examination will be carried out in due course to establish the exact cause of death, however it is currently being treated as suspicious. Police have named the victim as Kevin Gallacher. Officers have been carrying out door-to-door enquiries and are gathering CCVT footage which will be reviewed and examined for any information which could assist the inquiry team. Detective Chief Inspector Keith Hardie from the Major Investigation Team said: “We are in the process of establishing the exact circumstances of what has happened and the motive behind it. “A man has died following an attack and I’m sure there are people in the local area who may have heard or seen something connected to this crime. Anyone with information is asked to call officers at Livingston Police Station via 101, quoting reference number 4342 of 4 July 2017.